Pinch and a punch, first of the month, no returns or white rabbits or whatever they say local to you! True, I am officially a little bit late with this one as it is after midday, but today is the first of February! Duh! That can only mean one thing! 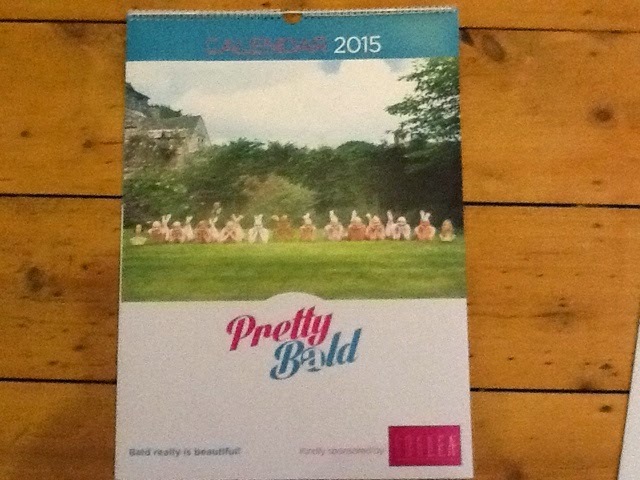 It's time to change the page on possibly the #BestCalendarIntheWorld! Alright, so I might be exaggerating a little particularly if you are fans of someone like One Directon (yuck) but it is time to turn the page and gaze on one of my favourite pictures from the calendar! I mean come on, it includes a giant yellow rubber duck folks! As an aside, it was pointed out to me today that we chose a bath-tub scene for February, the month of Valentine's Day, but I can honestly say that really wasn't deliberate!